Bed bugs are small insects that feed on the blood of mammals and birds. At their largest, they are no more than one-quarter of an inch. According to Arizona state law, bed bugs are classified as an insect in the genus “cimex,” as well as their eggs. Why Are Bed Bugs an Epidemic? Bed bugs have become a huge problem for a number of reasons. Size: Unlike other pests, such as a roach or a mouse, bed bugs are extremely small. Due to their minuscule size, they can be difficult to spot. A tenant may not know he or she has a problem with bed bugs until the infestation has spread. Lifespan: Bed bugs can be difficult to get rid of because of their ability to live without sustenance. Bed bugs feast on blood and can survive for up to a year without it. Mobility: Since bed bugs are so tiny, they are difficult to spot. They can easily climb into a purse or onto clothing and be brought back to a home without detection. Inconclusive Bites: People react differently to bed bug bites. Some people have no reaction when bitten, while others quickly develop red welts. Even in those that develop the red welts, it can be hard to distinguish the bite from the bites of other insects, such as a mosquito or spider. Ineffective Treatment: Bug bombs are usually not the best way to treat a bed bug infestation. It often causes the bugs to spread out. 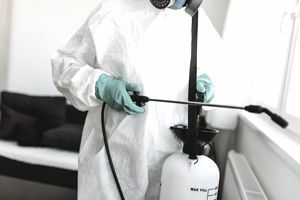 In addition to not using the proper treatments to kill the bugs, many landlords and tenants do not follow the proper steps to keep them from spreading. Tenants should wash all fabric in the hottest setting possible and vacuum frequently, while landlords should never let new tenants move into a unit with a known infestation. To What Does Arizona’s Statute on Bed Bugs Apply? In Arizona, the rights of landlords and tenants to bed bug control, which are spelled out in the statute, only apply to bed bug infestations. How Does Arizona Classify an Infestation? According to Arizona statute, an infestation is characterized by the presence of bed bugs in such numbers that it affects the health and safety of the tenants and their guests. Steps that can be taken to prevent and control bed bugs. Information about the bed bugs themselves, including their physical appearance. Common risk factors for attracting bed bugs. Information about bed bugs from the United States Centers for Disease Control and Prevention. Information about bed bugs from other federal, state or local health agencies. Information about bed bugs provided by a non-profit housing organization. Information about bed bugs that have been compiled by the landlord himself. Prevent New Move-Ins: Under Arizona’s statute, a landlord cannot sign a lease agreement with a new tenant allowing the tenant to move into a unit which has an existing and known bed bug infestation. Do Not Move In: If a tenant knows of an existing bed bug infestation, the tenant is responsible for not moving any of his belongings into the unit. Alert Landlord of Infestation: If a tenant discovers that there is a bed bug infestation in their unit, they are responsible for immediately alerting the landlord of the infestation. They can either alert the landlord of this infestation electronically or in writing. Is Anyone Excluded From Arizona’s Law on Bed Bug Control? Yes. Landlords and tenants of single-family residences are excluded from adhering to Arizona’s statute on bed bug control.